Making a typo you can't correct is one of the more frustrating parts of text communication. 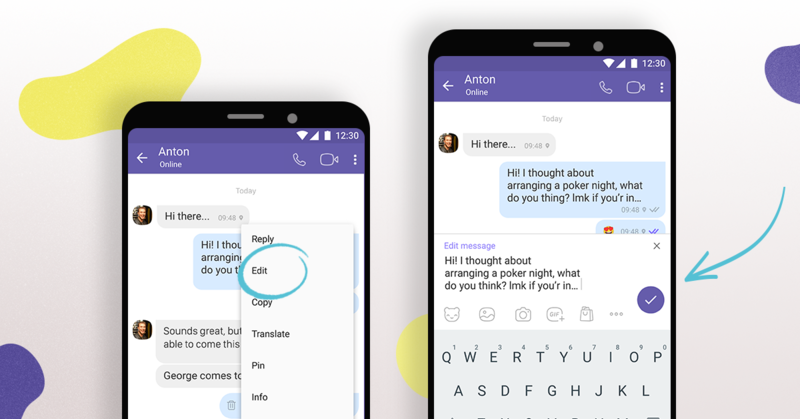 Viber seems to agree, because now you're able to edit messages you've sent through the service. Like in other apps that offer similar functions, edited messages will be marked as such to limit any possible confusion. Editing works about like you'd expect: long press the message you want to fix, tap edit, make your changes, and that's it. The message will show an indicator to denote that it's been edited, and the timestamp will change to reflect when the edit was made. - Edit messages that you have already sent. - New, improved way to share Viber screenshots with your contacts. - This update contains performance improvements and bug fixes for a better Viber experience. Always keep your app up to date to access the latest updates, and look out for new features across the app. You can download the latest version of Viber from the Play Store now using the handy widget below.